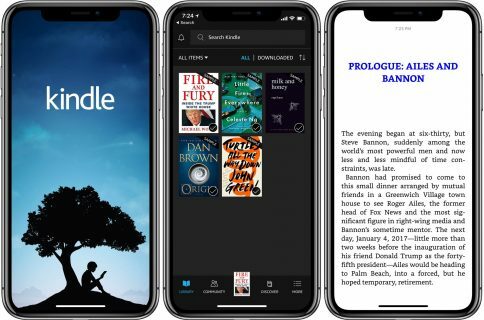 Kindle 4.9 for the iPhone and iPad now includes larger font sizes, in addition to an exclusive new font that was specifically crafted for prolonged reading on digital screens. The application now does hyphenation and has smoother word spacing, with layouts that dynamically adapt drop caps, text and images as you change fonts and adjust font sizes. The new, Kindle-exclusive Bookerly font, available on most Kindle books, is “warm and contemporary” and was created for optimal readability at any screen size. In addition to hyphenation and smoother word spacing, improved character placement increases word recognition speed at any font size. 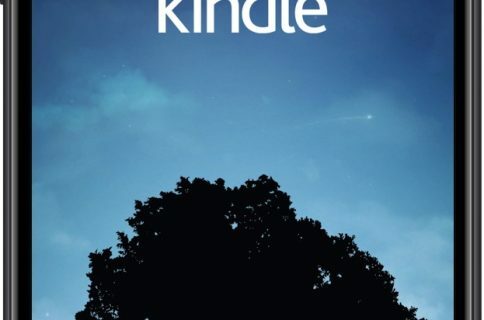 These new features should ensure that you suffer less eye strain than before when enjoying your Kindle books on the go. Hyphenation plus smoother word spacing result in faster reading with less eye strain. Improved character placement increases word recognition speed at any font size. Drop caps, text, and images that automatically adapt to always look great no matter what your screen or font size. Print-like layout dynamically adjusts for any combination of screen size and font setting. Enjoy reading with larger font sizes without compromising your reading experience. Page layout and margins automatically adapt to look great with even the largest font sizes. Bookerly is a new Kindle exclusive font designed for reading on digital screens. Warm and contemporary, Bookerly is inspired by the artistry of the best fonts in modern print books but is hand-crafted for optimal readability at any screen size. Bookerly is available on most Kindle books. These updates are available starting today across “hundreds of thousands of books,” and coming soon to all Kindle books. The 78.3-megabyte app requires an iPhone, iPod touch or iPad with iOS 7.0 or later. The Apple Watch is not supported in this release. 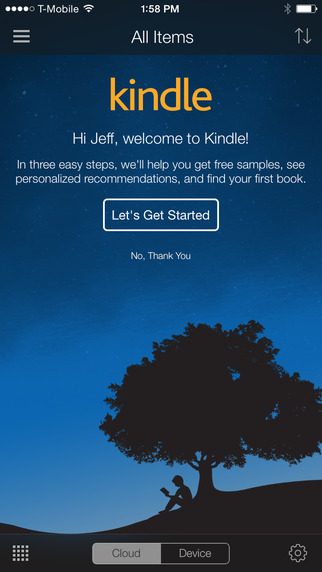 Download Kindle free in the App Store.